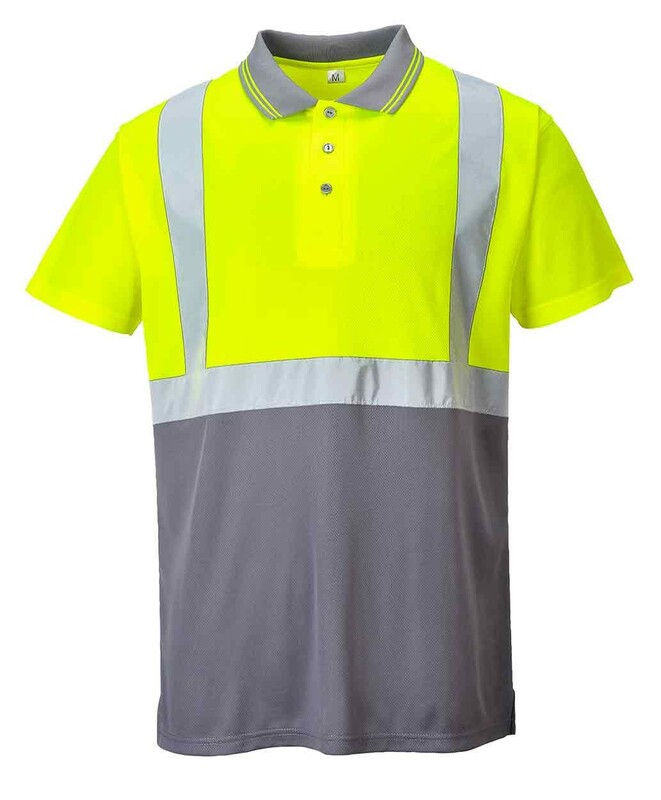 Modern design safety and wearer comfort are the main features of the S479 Polo. 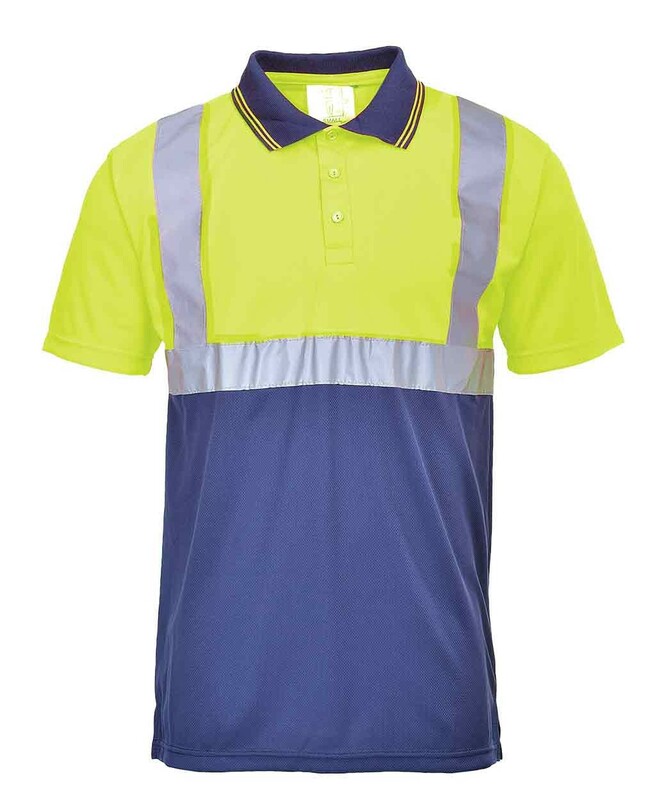 This style with a navy blue bottom is perfect for warm dirty environments where Hi-Vis protection is required. 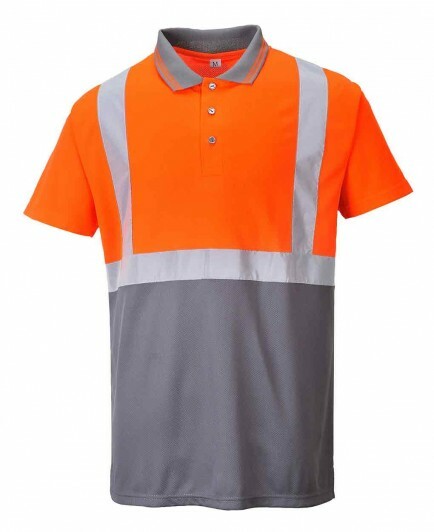 Contrast tipping for stylish look. 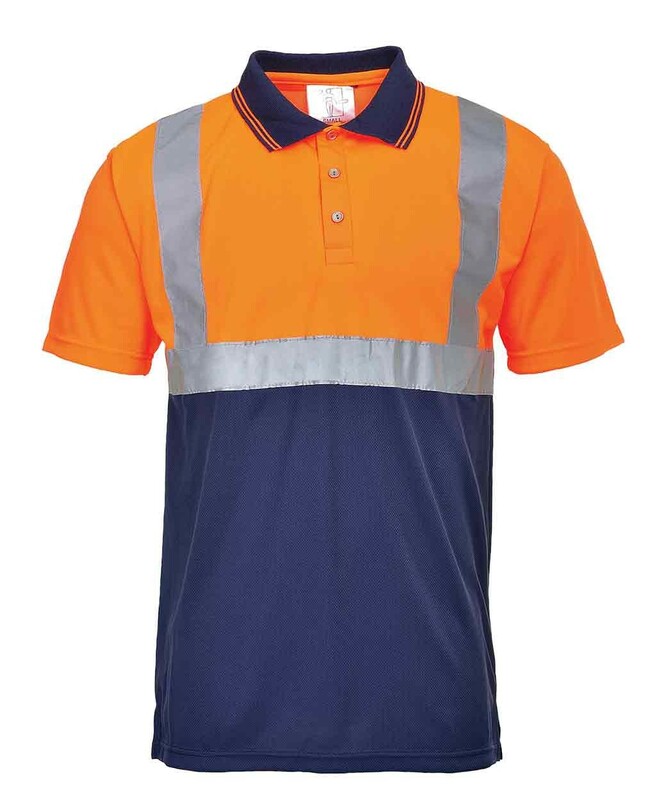 Features: Comfort side vents, contrast tipping for a stylish look. Fabric: 100% Polyester Bird Eye Knit, 175g. EN ISO 20471 Class 1.